Another Billionaire Presidential Candidate Who Doesn’t Get It – OpEd - Integration Through Media ....! 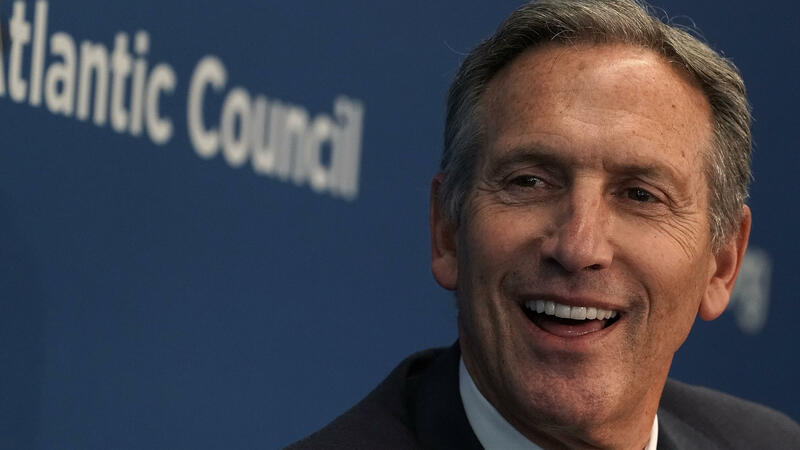 Former Starbucks CEO Howard Schultz just announced he may run for president as an independent centrist candidate in 2020. I have some concerns about billionaires, however well-intentioned, running the country. For one thing, people generally pay a lot of attention to those who have more than them, but they are less aware of those who have less. A billionaire with “just” a private jet will compare himself to an even richer billionaire with their own private island. They don’t have any idea what life is really like for a single parent raising two kids while working and attending night classes. Social psychologists find that people usually believe they are responsible for their successes, but blame their failures on external factors like bad luck or a sluggish economy. They also extend the same benefit of the doubt to people within their own group. When looking at people in other groups, they are less generous. Then they tend to blame people for their own failures. As a result, the rich generally believe that worked hard for everything they had — but many think the poor are probably poor because they’re lazy. In reality, all people’s fates are due to both their own talents and efforts and their circumstances. Think about Donald Trump. He was born to a wealthy and well-connected real estate mogul in New York. His father gave him millions, sent him to elite schools, trained him in the business, and introduced him to the powerful people whose help he needed to succeed. Would Donald Trump gone anywhere in business if he were born to your parents? Very unlikely. But could you have done even better than Trump in business if you were born to his parents? It’s definitely possible. Trump, no doubt, believes his success is solely due to his own work and “genius,” but it’s undeniable that the circumstances he was born into played a role. The same of true for those with less extraordinary privilege. Imagine a college classroom filled with 30 equally talented and hardworking students. Some come from well off families, live with their parents, and don’t need to work while attending school. Others come from poverty and hold full time jobs to pay their living expenses and tuition. Perhaps some are homeless, or food insecure. Maybe they have to care for children or elderly relatives in addition to attending school. They might not have reliable transportation or own a computer at home. Who will get better grades? Who will graduate sooner? Who might not graduate at all? Good bet the students from wealthy families will feel they’ve earned their good grades and will have no idea what the students with lower grades were facing at home. They might even think students who got poor grades did so because they were stupid, lazy, or both. In such a class, the best way to get grades up might be to help the students have stable living situations, enough to eat, fewer money woes, and less need to work full time while attending school. Just telling the low income students to work harder can only help so much when they’re in such a tough situation — it may even demoralize them further. We need a government that understands the lives and struggles of ordinary Americans and can craft policies to help them. Billionaires generally won’t, regardless of their intentions, because it’s human nature to be generally clueless about those with less privilege than you.